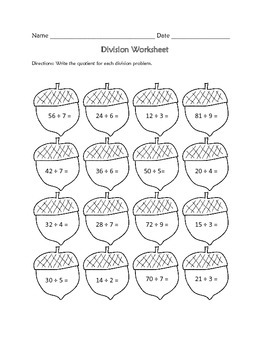 This is a FREE division worksheet. Students will be asked to find quotients. An answer sheet is included.